NVIDIA collaborates with Microsoft, Epic Games, Unity and other leading developers at GDC 2019 announcing the addition of Real-Time Ray Tracing effects on games and Ray Tracing support to more NVIDIA GeForce graphics cards including the Pascal-based 10-Series graphics cards. NVIDIA will be introducing GameWorks RTX, a comprehensive set of tools and rendering techniques that help game developers add ray tracing to games. Games that will now include Real-Time Ray Tracing effects include Dragon Hound, a monster hunting MMORPG, Quake II RTX, and more. NVIDIA partners with several game developers to bring Real-Time Ray Tracing effects to game engines including Unreal Engine and Unity. 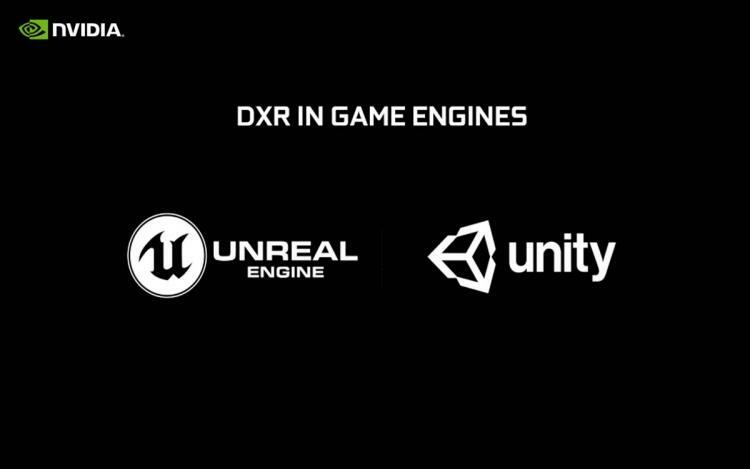 Unreal Engine 4.22 with RT effects is now previewed at GDC 2019, Unity will be optimized with RT effects which are to be made available by the 4th of April 2019. Real-Time Ray Tracing effects are on the works on other AAA game engines including Frostbite Engine, Northlight Engine, Crystal Dynamics and others. NVIDIA officially adds Ray Tracing capabilities to the Pascal architecture and the newly introduced Turing-based GeForce GTX 1660 Ti and GeForce GTX 1660 graphics cards. NVIDIA will be releasing a new driver that will enable the graphics cards to support RT effects on supporting games. Learn more about DXR Ray-Tracing on 10-Series and 16-Series GPUs here. NVIDIA GameWorks RTX is a comprehensive set of tools that help developers implement real-time ray-traced effects in games. GameWorks RTX is available to the developer community in open source form under the GameWorks license and includes plugins for Unreal Engine 4.22 and Unity’s 2019.03 preview release.